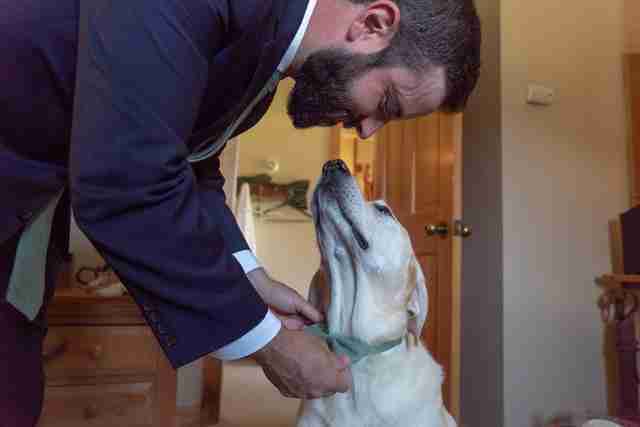 Ever since Boone was a puppy, he and his dad, Jayce Conway, have done everything together. About a year and a half after getting Boone, Conway started dating Angie Blumberg, a girl he knew from his hometown of Freeburg, Illinois. Blumberg and Conway ended up falling in love, although they had to navigate a long-distance relationship for about five years while living in different states. Whenever they did spend time together, Boone was always there, too. 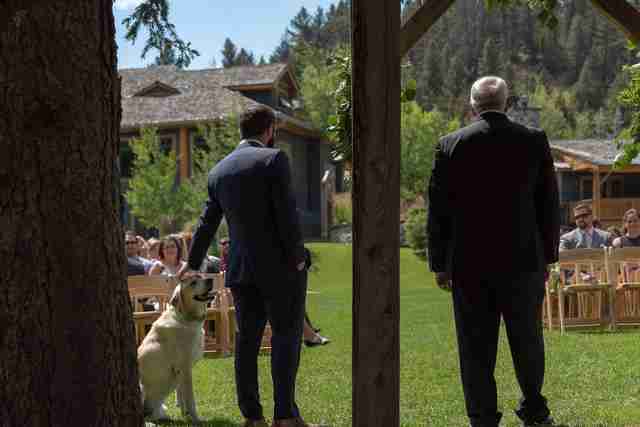 So when Conway and Blumberg were planning their wedding, which took place in Big Sky, Montana, they knew Boone had to be involved. 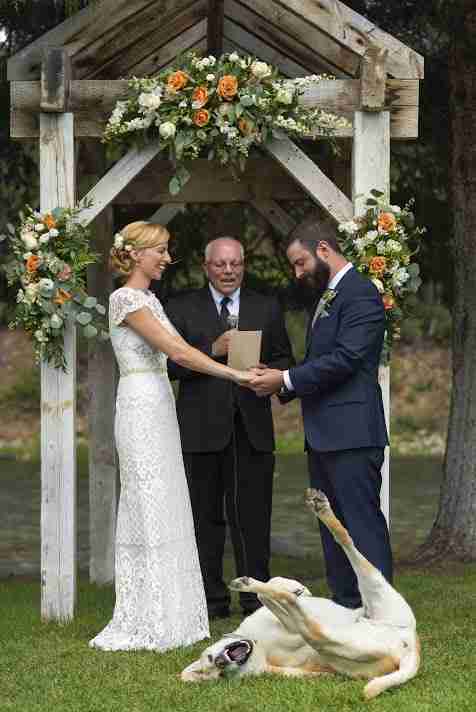 However, Conway knew it probably wasn’t a good idea for Boone to be a ring bearer. 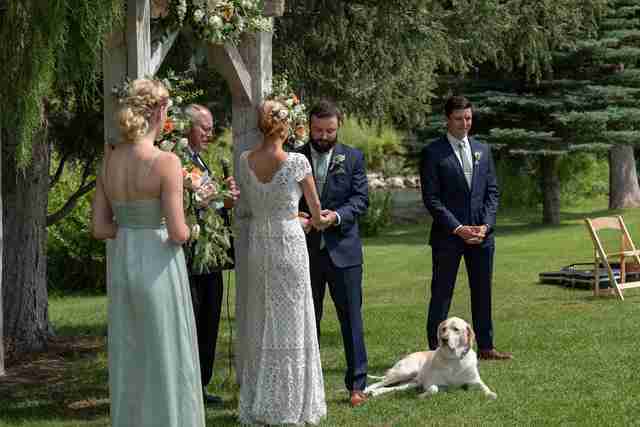 During the ceremony, Boone dutifully lay by Conway’s side — but he ended up doing something to steal the show. “It was during the opening prayer …. 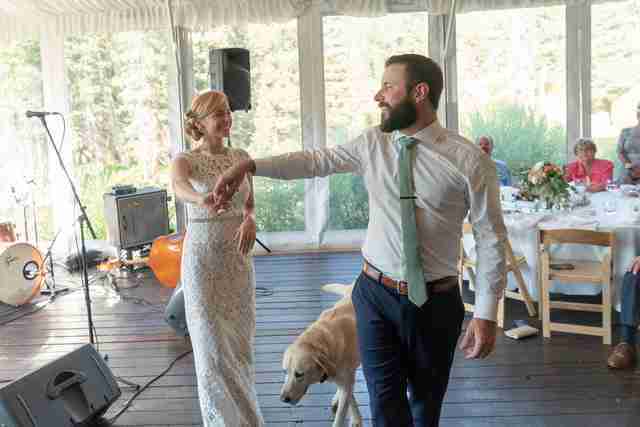 Boone was on the side of Jayce during the prayer, and he kind of moved forward and laid in front of us, and then decided to roll around in the grass,” Blumberg said. Everyone laughed at Boone, even the pastor. Conway suspects that Boone was rolling around was because he’d gotten a bath the night before. 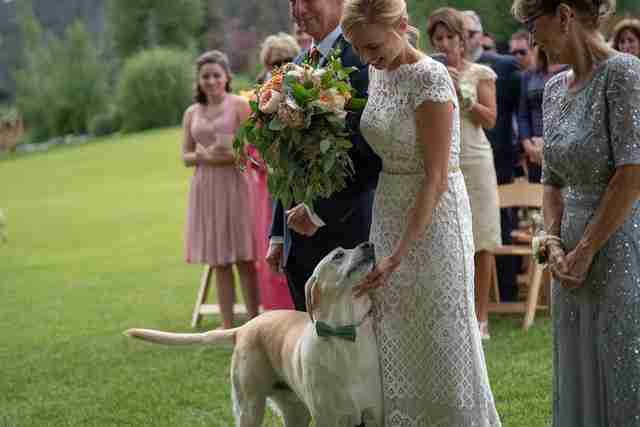 Photographer Chris Davis snapped a photo of Boone rolling around in the grass, which he sent to Conway and Blumberg shortly after the wedding. When KSDK News asked for permission to publish the photo, Conway and Blumberg agreed. Then the newlyweds drove into Zion National Park in Utah. Conway and Blumberg are more than a little surprised by the attention their wedding has received, thanks to Boone’s antics. 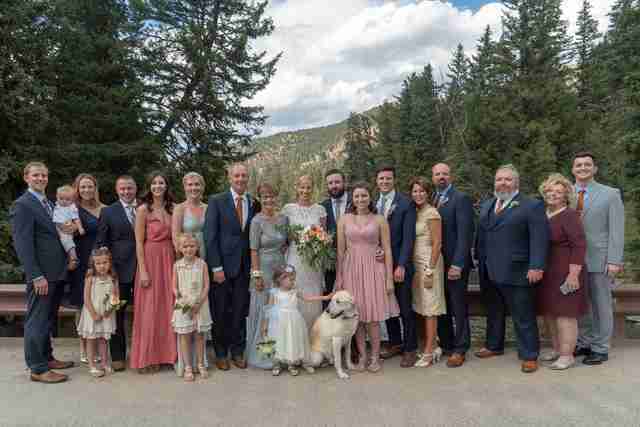 “We intended the entire time to have a very small intimate wedding in the mountains, and now 10 million people have seen pictures of it,” Conway said with a laugh. Now that the wedding is over, Conway, Blumberg and Boone are moving to Alabama — and they can’t wait to see what life has in store for the three of them. “I think he’s adaptable to any situation, as long as he’s there with us,” Conway said. Thinking about adopting your own dog? Then meet Dodo Adoptbot, an interactive guide for new pet parents. Get started on Facebook Messenger or text HOME to 38349.